Text: Should appear in the following order: Title, Authors' names, Address of authors, Abstract, Introduction, Materials and Methods, Results, Discussion, Acknowledgements, References, Tables, Figure Legends, and Figures. Main section headings should be bold, centred and of uppercase letters. Do not underline the title or section headings. Subsections (also bolded) may be included and only the first letter of the subsection should be capitalized. Avoid excessive fragmentation of the paper. Font size 12 should be time new roman and Microsoft word. Use SI units of measurement, and underline all Latin words and scientific names. Use numerals before standard units of measurements, e.g. 3 g, 9 days, 36 hr; otherwise use words for numbers one to nine and numerals for larger numbers. Abbreviations and their explanations should be collected alphabetically arranged in a list. Example; BA-6-benzylaminopurine; NAA-naphhaleneacetic acid. Some commonly used abbreviations (eg. DNA; PCR) do not have to be explained. Title: Should be brief and reflect the main theme of the paper. Authors' names should appear below the title and below which the address should be typed. Authors should write their names in full with the surnames capitalized. Abstract: An Abstract in English should preferably be between 150-250 words and should contain salient features of the study, briefly indicating method of study, results, and the main conclusion. Introduction: This section should argue the case of your study, outlining only essential background, but should not include either the findings or the conclusions. It should not be a review of the subject area, but should finish with a clear statement of the question being addressed. Please provide a context for the report with respect to previous work done in the field. Materials and Methods: This should be informative enough to allow a competent person to repeat and interpret the results obtained. Particular attention should be paid to the design, analysis and statistics. Standard protocols should be referred to but may not be explained. Results: Should highlight the findings and their significance and place them in the context of other works. Avoid reproducing information already in tables. Discussion: This section may be combined with results but generally should be separate. It should indicate clearly the significance and implications of the results obtained. Inferences and opinions should be distinguished from facts, and should not duplicate results except to introduce or clarify points. Reference should be made to published literature. Acknowledgements: Financial contributors, pre-paper reviewers, etc. should be acknowledged. References: Only published articles (journals and proceedings) or books may be cited. In addition, articles with evidence of journal acceptance are considered as "in press" and are also citable. The reference list should be arranged alphabetically. Authors should be referred to in text by name and year (Havard system). Meaza, M., Seyoum, T. and Woldetsadik, K. 2007. Effects of preharvest treatments on yield and chemical composition of tomato. African Crop Science Journal 15 (3):149 - 159. Within the text, references should be given as: Meaza et al. (2007), or ... similar results have been obtained........... (Meaza et al., 2007). Legesse, B.W., Myburg, A.A., Pixley, K., Twumasi-Afriyie, S. and Botha, A.M. 2007. Genetic diversity of maize inbred lines revealed by AFLP markers. African Crop Science Conference proceedings 8:649 - 654. DeVries, J. and Toenniessen, G. 2001. Securing The Harvest: Biotechnology, Breeding and Seed Systems for African Crops. The Cromwell Press, Trowbridge, Wiltshire, UK. 208pp. Zachary, G.P. 2008. Africa plays the rice card. Foreign Policy. May/June 2008 (web-exclusive story). http://www.foreignpolicy.com/story/cms.php?story id=4306. Accessed 26 August 2008. 6. Personal communication may be cited only in the text, giving names, date, and institution or organization of source of information and should not appear in the reference list. Copyright: Submission of a manuscript implies: that the work described has not been published before (except in the form of an abstract or as part of a published lecture, review, or thesis); that it is not under consideration for publication elsewhere; that its publication has been approved by all co-authors, if any, as well as – tacitly or explicitly – by the responsible authorities at the institution where the work was carried out. 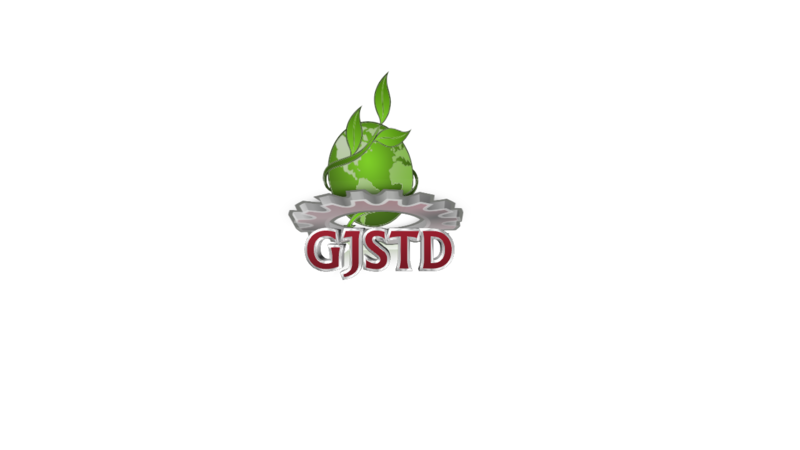 Transfer of copyright to Ghana Journal of Science, Technology and Development becomes effective if and when the article is accepted for publication. Disclaimer: The journal and the University for Development Studies are not liable in case of any anomalies on the part of authors and/or inaccuracies in published works.